I shouldn’t be too proud to admit this, but I love drinking coke. Even if you’d only know me for a day, you’d know at least this fact about me. 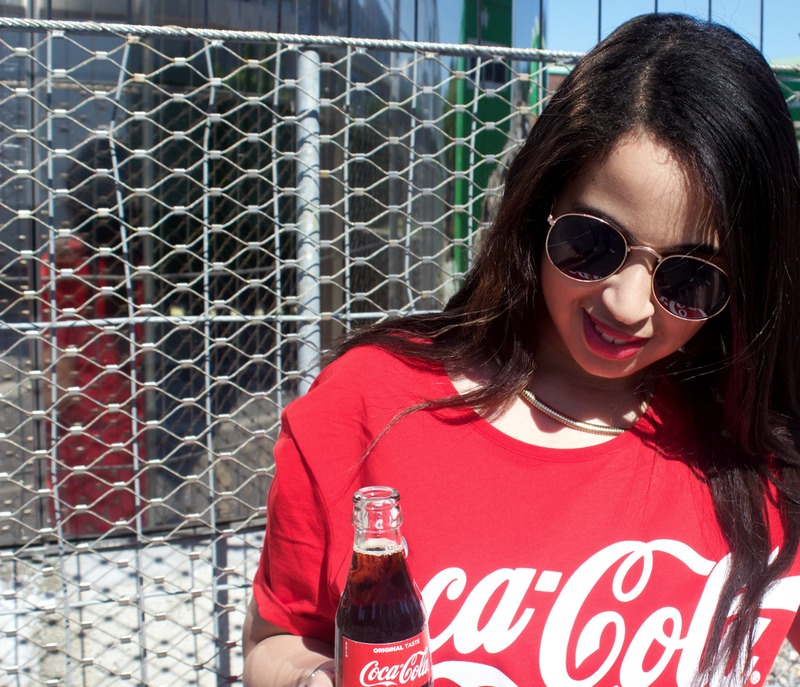 And I can’t imagine nothing better than cooling off in the hot summer weather with an ice cold Coca-Cola. 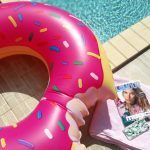 And before you start to wonder, no this is not a sponsored post. I wish! 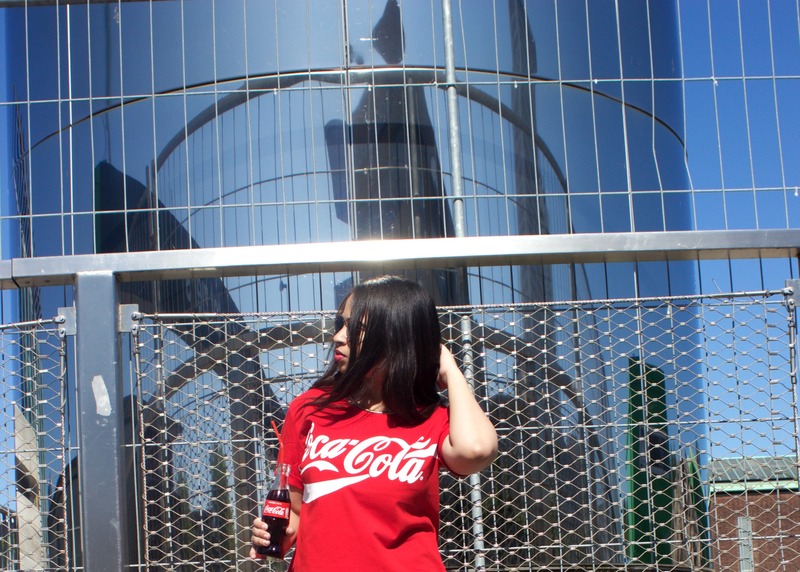 I just got a little too excited when I saw this Coca-Cola shirt at CoolCat the other day. Especially since it was on sale for only €7,50! 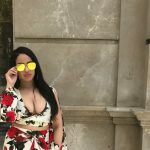 And since it’s been a good minute since my last OOTD post, I decided it was time for a new summer look. It just so happened that the day of shooting this look, it was extremely hot outside. But nothing that an ice cold beverage couldn’t fix! And seeing that I’m super extra, I really wanted a retro Coca-Cola bottle as my prop. I was so worried I would have to swing by several cafes looking for one, but nothing was more untrue. We literally stumbled upon an empty coke bottle at the very first cafe we passed by. Don’t worry I gave it a good thorough wash before pouring in a store-bought coke. Lol the things I do for pictures… Anyways, enjoy the pictures! 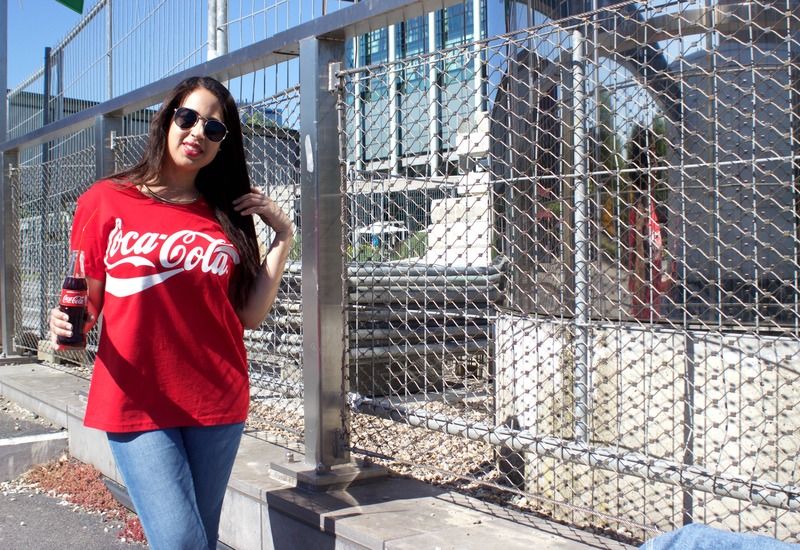 What did you think of my red Coca-Cola shirt? I know it’s not everyone’s cup of tea. But I honestly like statement brand shirts so much and I’m so glad with this addition! Also, what do you usually do to cool off on hot sunny days? Let me know in the comments! 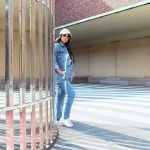 Disclaimer – all photos are made by CarolyneJune with the Canon 600D Kit Lens camera. 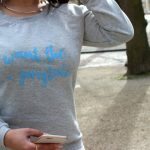 Leuk shirt! Ik drink eigenlijk nooit Coca cola. Vind dat er teveel suiker in zit haha. Heel af en toe heb ik echt zin in een cola, maar die heb ik dan nooit in huis ;). Hier nog een cola(light)-addict….maar om nou in een colalook rond te gaan lopen?? het staat je prachtig, maar niet mijn ding! Ik vind het shirt echt geweldig! Ik drink zelf nooit cola, omdat ik niet zoveel suikers naar binnen wil krijgen haha! Leuk het verhaal hoe je aan het flesje bent gekomen haha ? Hartjes voor cola! 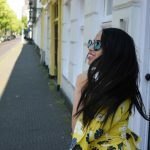 Leuk shirt, die kleur staat je ook goed. Is niet mijn ding, maar vind het anderen altijd wel heel leuk staan! Staat leuk bij je! 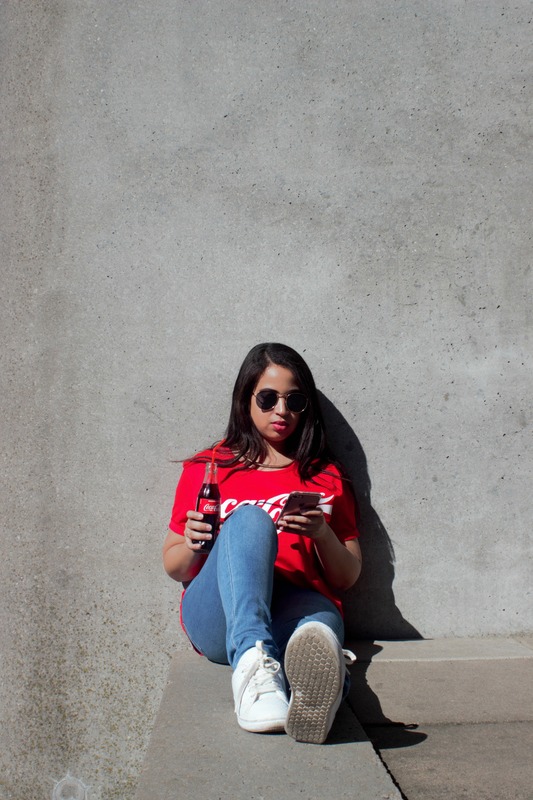 Ik heb ook een Coca-Cola shirt, met de tekst ‘Share a Coke with love’. Ooit gekregen op een festival haha. Leuk shirt! Staat je goed. Ik drink niet vaak cola. 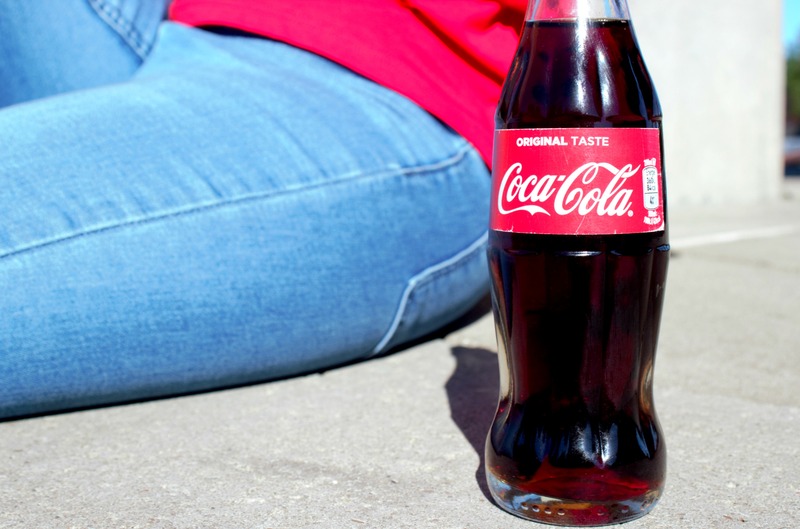 Beetje erg gericht op coca cola dan wel. Lees dat het niet gesponserd is. Ondanks de aandacht voor merk cola, zijn het zeker mooie foto’s geworden! supergave t-shirt, staat je leuk! Super leuk shirt, staat je prachtig!! 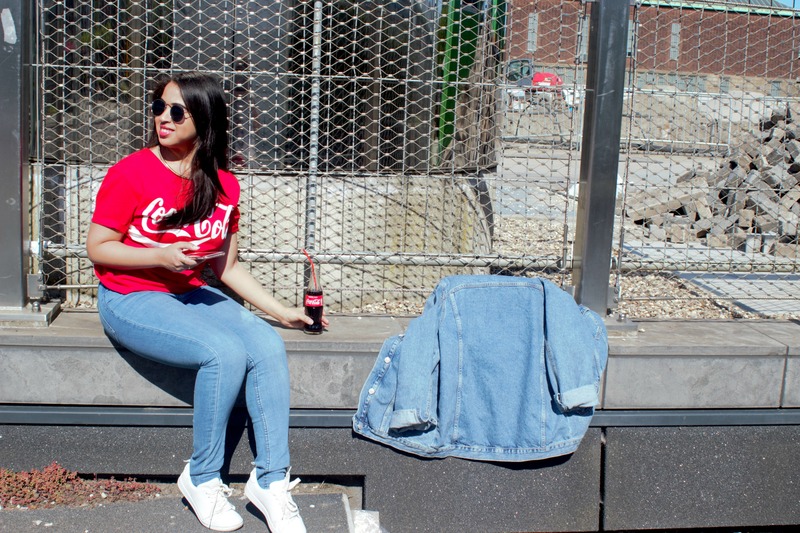 Ik ben geen fan van coca cola, maar dit shirt zou ik ook dragen. Zo’n leuk shirt! 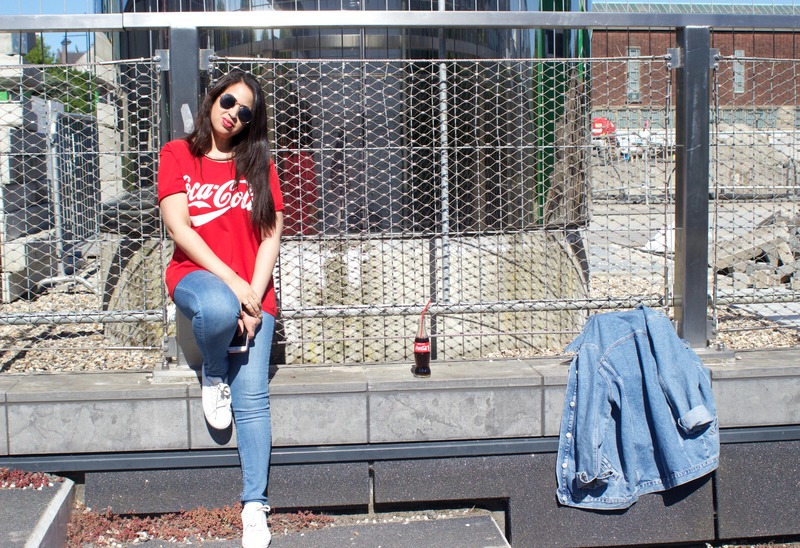 Ik drink ook graag Coca Cola (al probeer ik het thuis niet te doen, suiker enzo haha) en ik heb ook meerdere Coca Cola shirts, ze zijn gewoon te leuk!